For 156 miles along the East coast of Florida there is a barrier of sand that was built in ancient times. 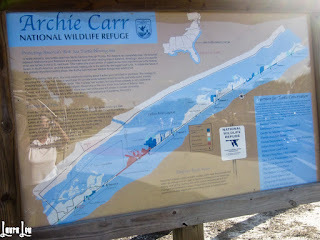 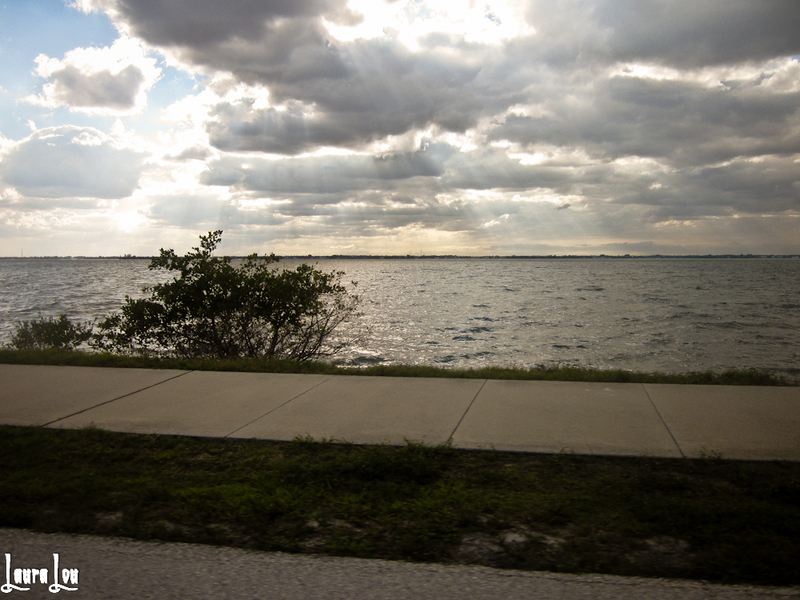 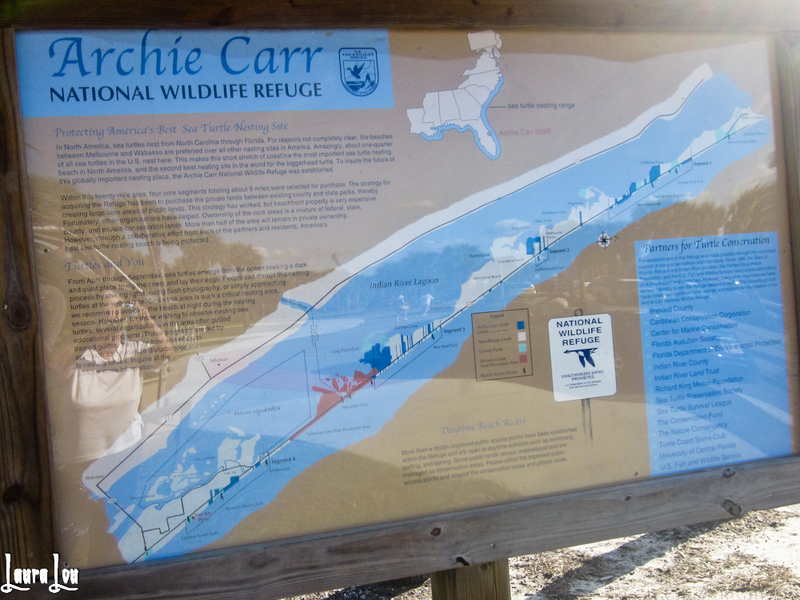 The barrier separates the mainland from the ocean creating the Indian River, a brackish area that is the most diverse estuary in the country. It also created some of the nicest beaches you can find. 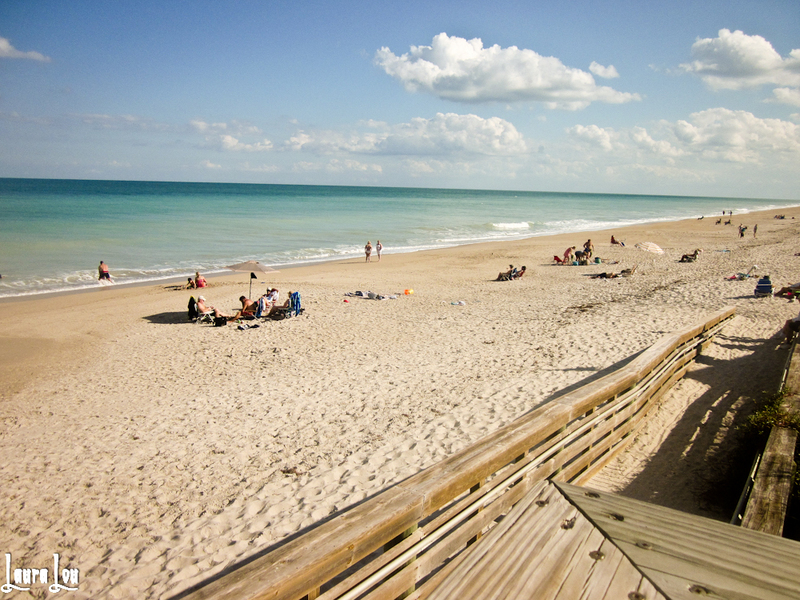 This is Golden Sands County Beach. Clouds were gathering but we decided to soldier on and take our chances. 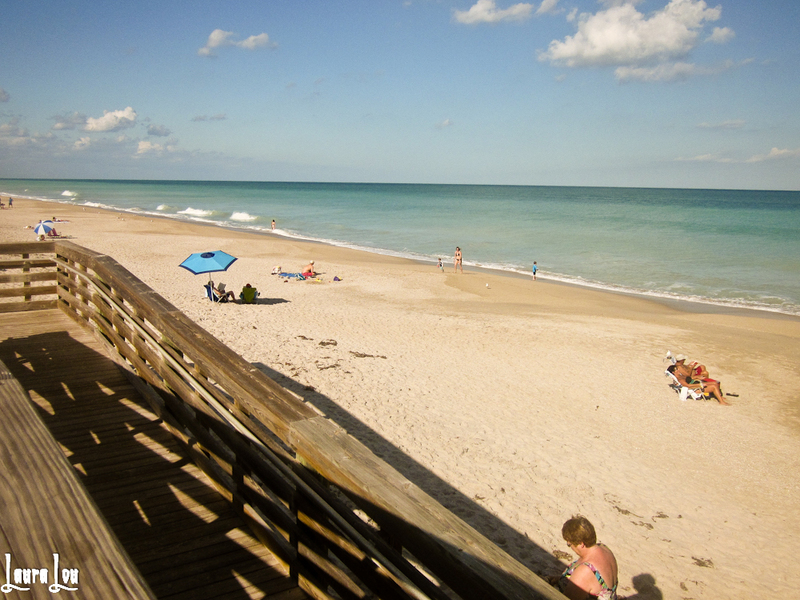 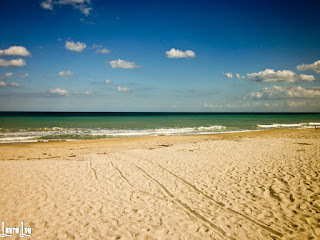 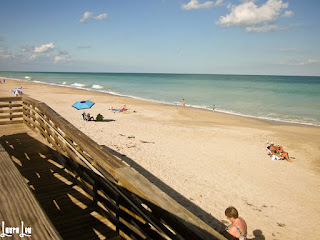 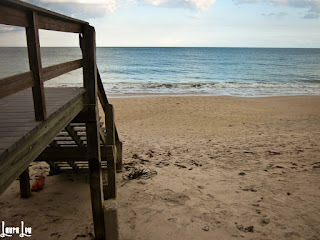 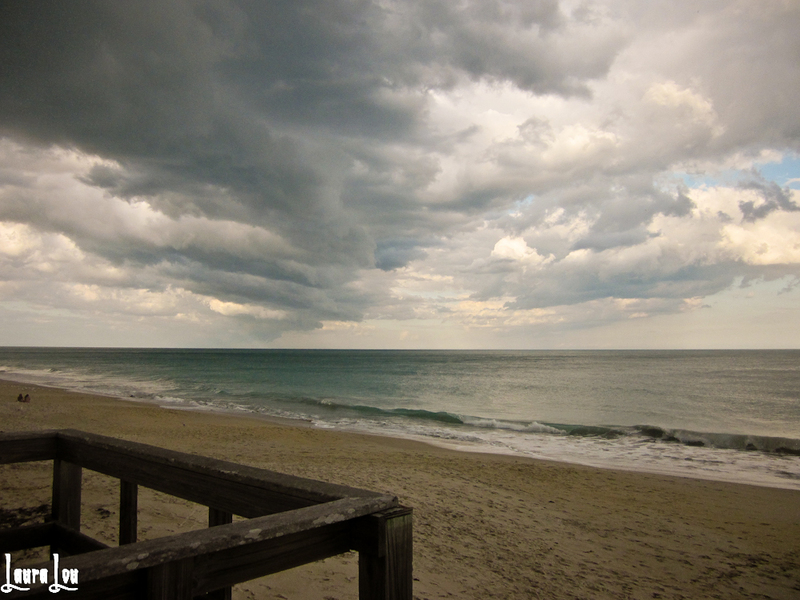 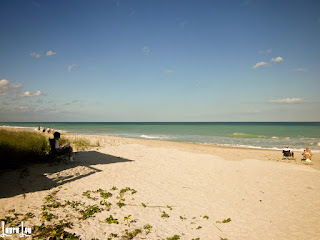 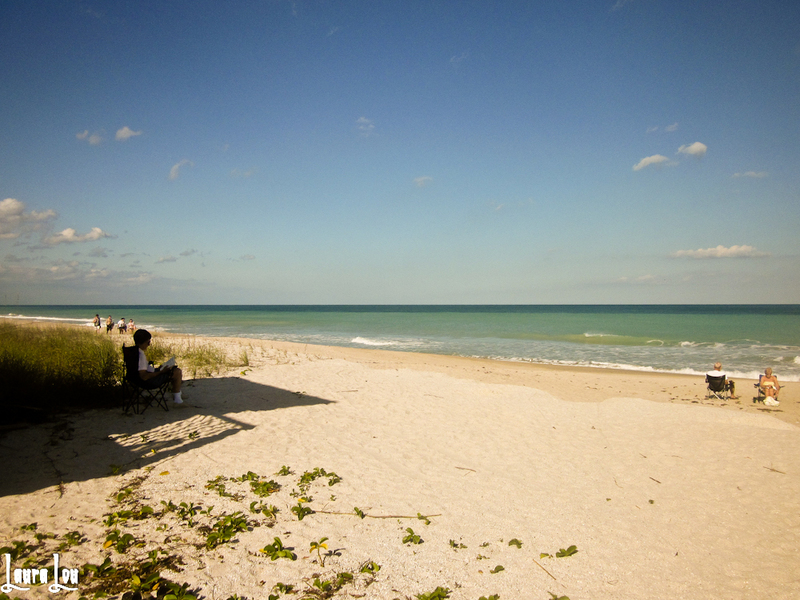 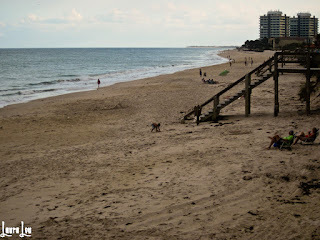 This is the beach at Vero Beach, more populated, especially the long boardwalk. 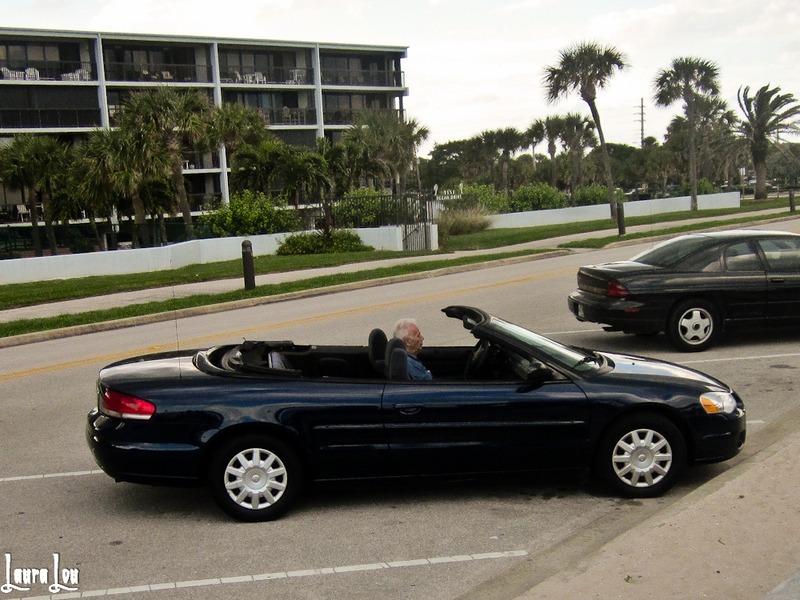 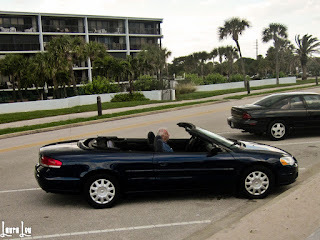 In spite of the threatening weather, we avoided having to put the top up.